Making your own trail mix could not be easier or more forgiving (have fun with the ingredient choices and portions below to make it to your liking)! I threw some together for a preschool class snack and it took less than five minutes and, best of all, I could prepare it the night before and not have to fuss with it in the morning before school. Serve it in Dixie cups for a kid-friendly snack or pack it bags for the trail. Pour all the ingredients into a bowl and stir them together. Package into serving sizes or serve in the bowl. This homemade trail mix is high in calories (which is what you want in a trail mix, right?) but if you want to reduce the calories for a healthier snack, add in the plain stove-popped popcorn and that cuts the calories per serving significantly. 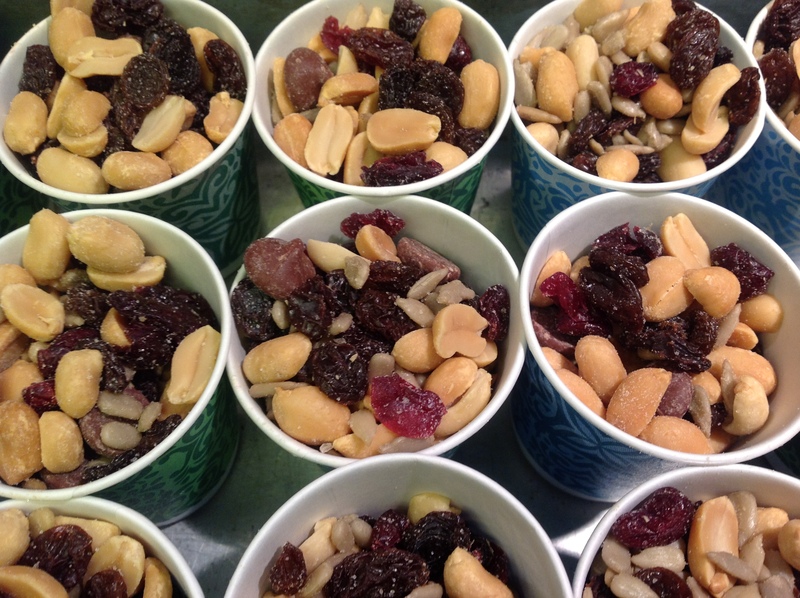 Survey: Do you call it trail mix or GORP (“Good Old Raisins and Peanuts”)? I called it GORP as a kid but I’d forgotten all about that!